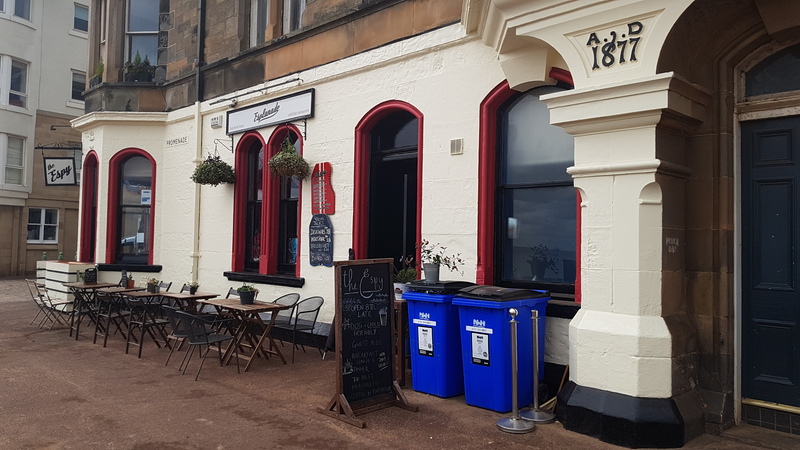 George Nicolson were pleased to be awarded the external decoration works to Esplanade, also known as The Espy, Edinburgh. Works encompassed the preparation and decoration of the externals walls, windows, mouldings, doors and facings. Works were executed off a mobile tower, following receipt of a local authority permit, to reach the high levels areas whilst The Espy continued to trade throughout the entirety of the project. 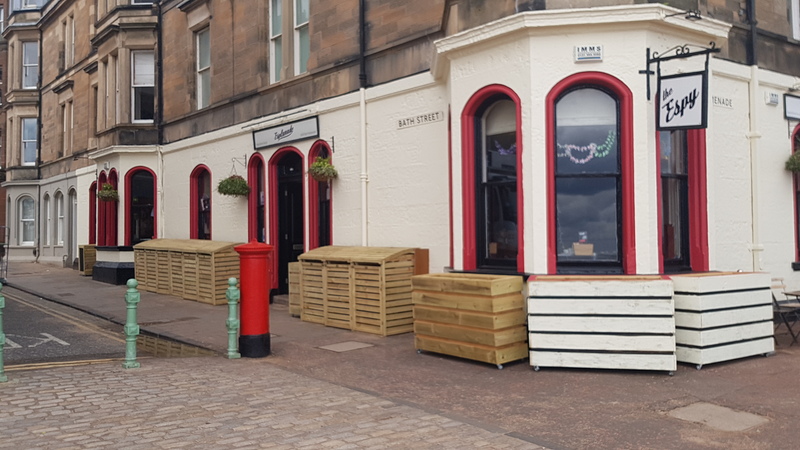 One of our skilled sub-contractors, Hallbar Ltd who are based in Carluke, built numerous impressive large planters and planter barriers for the outside of the premises as requested by the client. In addition, we were also asked by the client to supply and fit 3 new bin stores as pictured across to the right. The end result has been warmly welcomed by the client, staff and the public. The welcoming atmosphere, together with its beachside location, attracts an increasing number and mixture of locals, dog walkers and tourists alike. 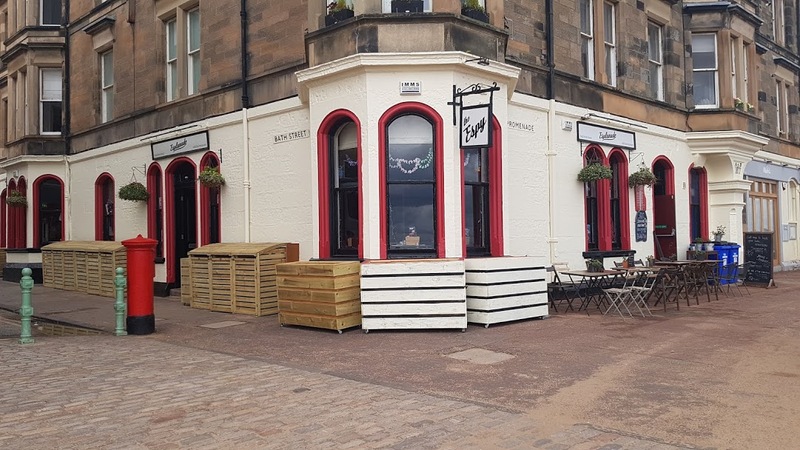 The Espy has a good range of beers and real ale on offer as well as wine, special cocktails and alcoholic milkshakes for adults. It does well in offering a little something for everyone.